Drawing of wedding guests by live caricturist at a wedding in Ashbourne, Derbyshire. The Peak District is a lovely place to get married. 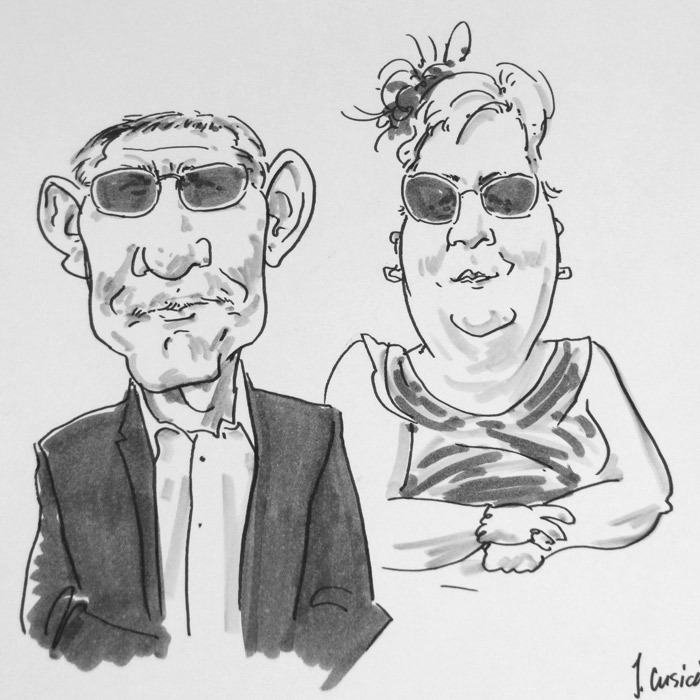 To find out a price for live caricature at your event in the Peak District, Derbyshire or West Midlands, simply send an email with dates, timings, etc.